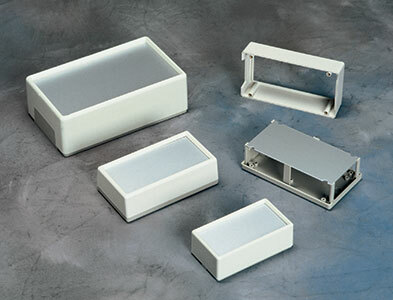 Flat workable aluminum top that provides a good surface for large toggle switches and large activation buttons. The top plate is self-supported. Enclosure can be wall-mounted or hand held for tethered applications. The top can be custom CNC die punched at our factory to meet your specific requirements. Come with one top plate & assembly screws. 1.57" x 2.56" x 4.72"
1.77" x 3.35" x 5.91"
2.75" x 4.92" x 8.26"
0.04" x 2.28" x 4.45"
0.06" x 2.81" x 5.59"
0.06" x 4.57" x 7.91"